BrainCube is a mind-boggling puzzle map where your focus, intelligence and patience will be tested. 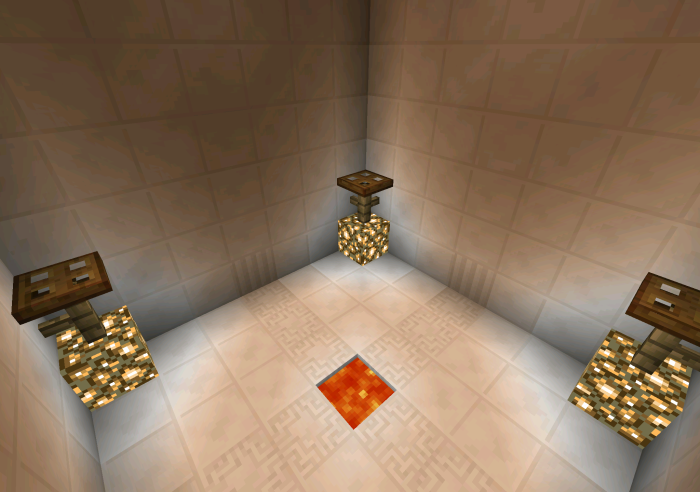 Every single room is made out of 7×7 blocks in the map and consists of a puzzle with at least one solution for you to figure out. Feel free to test anything you can come up with as redstone alternatives have made testing several alternatives possible. In this map you are sent as an undercover agent to board a XL Jump aircraft which is suspected to have a bomb somewhere hidden aboard. A lot of villagers are traveling with the aircraft and your mission is to find the bomb and defuse it before it’s too late. You work as an undercover agent and are currently testing the XL Jumbo aircraft which was produced by the Block Airlines. As your agency has expected this isn’t an ordinary flight. Someone appears to have planted a bomb big enough to blow up the entire airplane. You’ve been assigned to find the bomb and defuse it. You have 10 minutes to do this before everything explodes. Best of luck to you! AMazeZing is the biggest and most amazing (funny, eh?) 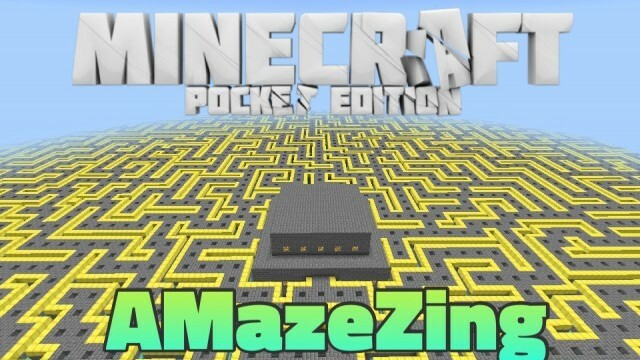 maze we’ve ever posted here on MCPEDL. Not only does it include two epic mazes but it also includes a structured story line throughout the journey which will last for a long time because of its greatness. At its finished state the map will have a total of 10 parts all included in this one map. 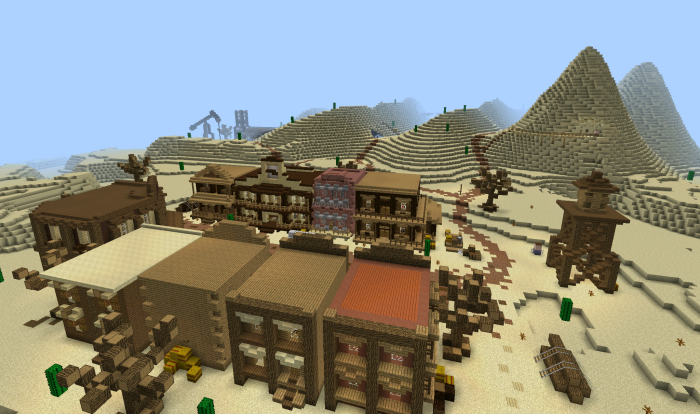 The parts included are different kind of adventures tied together to create a mega adventure in one single map. 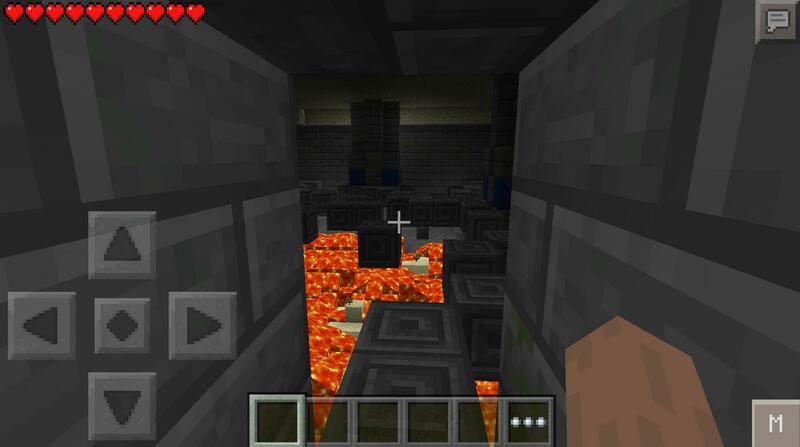 Much of the map is focused on really epic parkour adventures but the creator has also made sure to include different gameplays like puzzles and ordinary adventures. In this map you get trapped inside a pyramid. The only way to get out is through the top of the pyramid and to get there you must first clear through a total of 17 rooms. Before beginning start by reading the signs for the rules etcetra. Once you continue through the next rooms there won’t be any instructions whatsoever. The next is completely up to you to figure out. A few years ago you and your family decided to move to a sand village which was located far out in the desert. One day you are out in the desert playing by yourself. Suddenly you hear a cracking and groaning sound and the ground starts to shake. In front of you there is something coming out from the depths of the desert. The something looks as the top-stone of a pyramid and slowly the pyramid shows its entire self. Enchanted and jaw-dropping you stand in front of the pyramid and a shiver runs down your spine. The entrance to the pyramid opens and out comes a child. The child waves at you and motions you to come closer. As you approach the child he disappears into the pyramid. By instinct you follow into the pyramid to see where the child went, but as you enter the entrance is shut and you are trapped inside the pyramid. The name speaks for itself. This is a mega huge maze which we can assure very few people have managed to finish. If you for some reason finish it with success then let us know in the comments and let us know how long it took you. Realistically it shouldn’t be possible to finish the map under two hours. 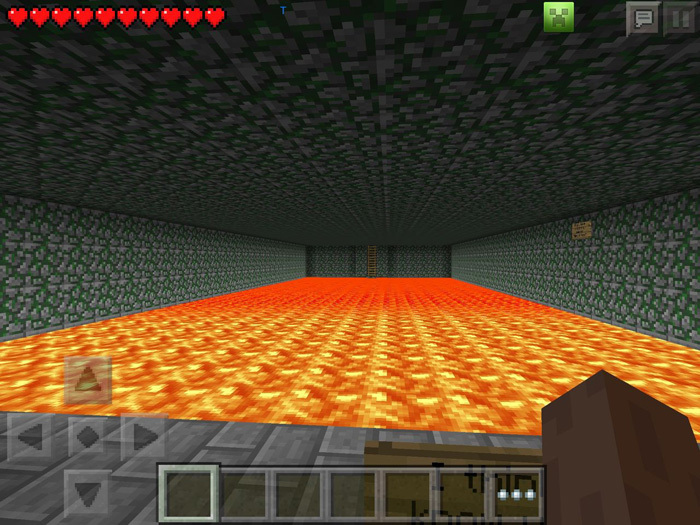 You are a magician serving a life sentence in a place called Dungeoncraft. It’s no fun there so you decide to attempt to escape and as you are a magician you think you can use a Dimension Door to teleport from one dimension to another. Oh yes, the story is a little bit odd and maybe complex but don’t let that hinder you from trying it out. It’s a really cool map. 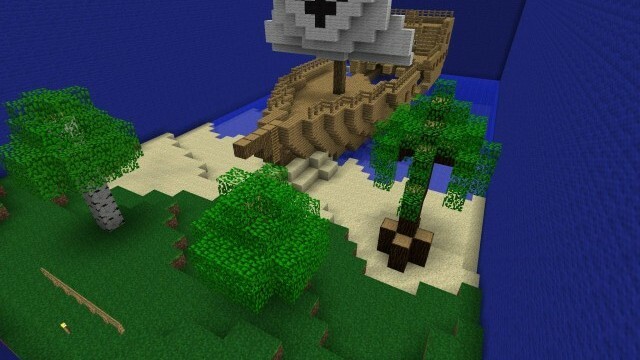 Once you have finished this map don’t forget to check out the next one in the series of Dungeon-Craft: TacoTony’s Escape. Indiana Craftes is your name from here on, at least during your time throughout the journey in this map. The adventure takes place inside a temple located far into the jungle. The travel have taken you lots of time but you are finally here at the temple ready to get what you came here for. Your mission is to find the Orb of Creativity. To find it you need to get past challenging events and puzzles. As you might have figured out by now the map and story is inspired by the movie series Indiana Jones. 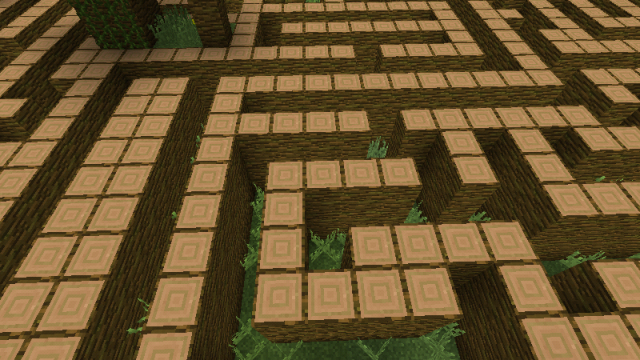 This is one of the hardest mazes ever created in Minecraft (we promise!). Once you get in, the chance of getting out is close to zero. There are multiple paths leading nowhere and only one which will take you to the finish line. It is a test of memory and sense of direction. 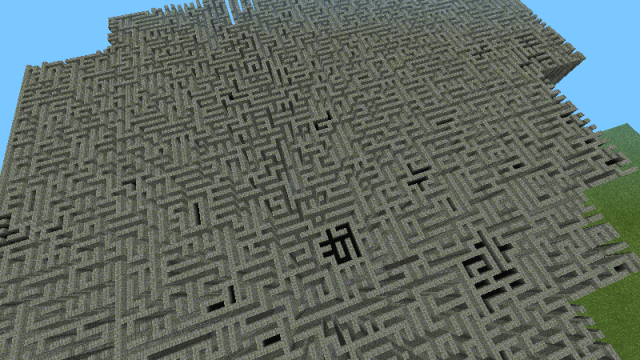 Few times have we posted maze maps here on MCPE DL so this one surely was welcome. The map can be played by multiple players or only by you yourself, choice is yours.